I recently asked about devices. I am not the only one who's curious to know what matters to people living with diabetes. The Sanofi folks want your two cents and they are willing to entertain a wider perspective than just gadgets. They are also more in a position to do something about it. Sanofi are the makers of some useful stuff. Stuff like Lantus, the soon to come to market iBGStar and sponsors of my favorite bike racing team. Good folks. You may know them on Twitter as @Diabetes_sanofi. They they want to know, “What Matter Most to You.” I shared my views. (I know! Who would think I, of all people, would share my view?) 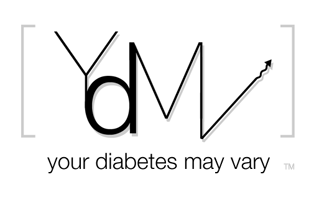 But Your Diabetes May Vary, in fact I bet it does. 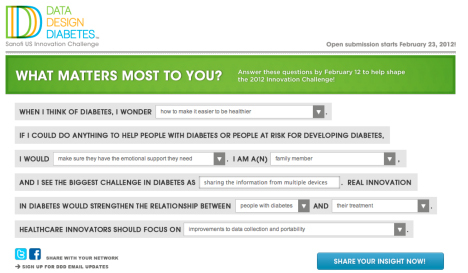 Sanofi wants to hear from all of us in the Diabetes Online Community. Act NOW the survey closes on Feb 12. "I see the biggest challenge in diabetes as _______" as a comment here. Who knows your comment may inspire someone else to think about what matters most to them and maybe even share it. I see the biggest challenge in diabetes as sharing the information fomo multiple devices." Thanks for the heads up. I have shared my thoughts! Thanks Bennet for calling this out. I answered "I see the biggest challenge in diabetes as data sharing to ease moving to new devices and building a total picture of their diabetes health". It still amazes me that the diabetes device industry hasn't agreed on data formats. Many other industries have accomplished this: Fax machines; modems; PC board designers. I could go on. I wrote "device compatibility in the US and appropriate standards of care in 3rd world countries.